This pair of novellas by author Veronica Wabbington introduces two intriguing characters: the beautiful Henna and the odious Mr. Alexander. 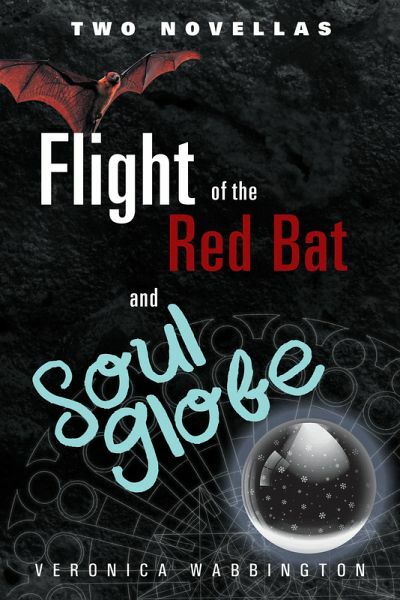 Flight of the Red Bat follows Henna as she ventures out into the wild world. After the death of her mother, she leaves her home on the reservation and becomes an exotic dancer. Despite her hopes for a better life, she soon discovers the outside world is not a bright, shiny place. There are evil people with dark intent, but she will not become a victim. In Soul Globe, we find a man who never feels victimized because hes too busy making victims of those around him. Alexander worships lust, greed, and envyanything that brings out the worst in people. He travels the world, making deals and spreading his sinister intent. He knows there are winners and losers, and even though Alexander refuses to lose, he knows that everyone takes a fall eventually. When will it be his turn? Veronica Wabbington has worked as a nurse for thirty years and enjoys a good horror story. She lives in New Mexico with her dogs.